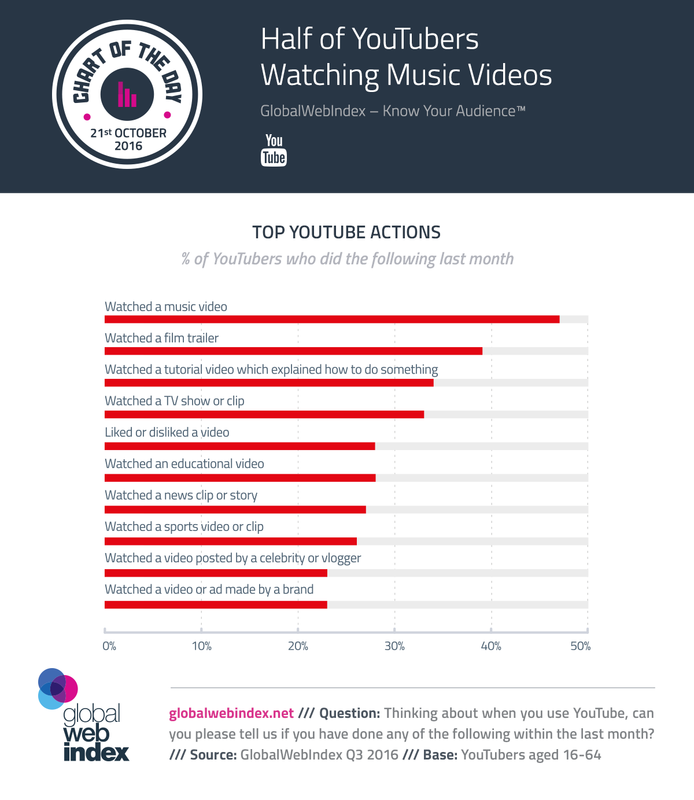 Half of Youtubers Watching Music Videos #Infographic ~ Visualistan '+g+"
This infographic shows the most popular activities on YouTube. It’s now almost 9 in 10 internet users outside of China who are visiting YouTube each month, making this the second most visited site tracked by GWI behind Google itself. 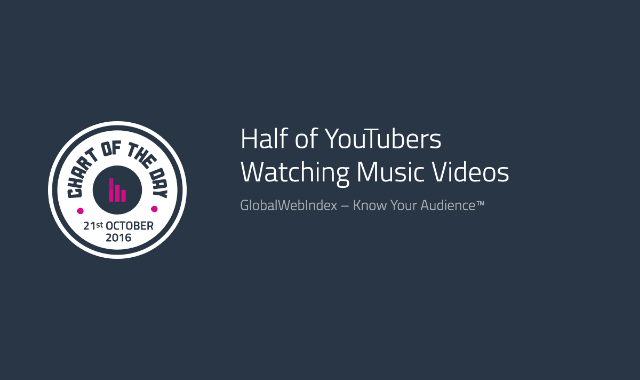 Once they get there, 1 in 2 Youtubers are watching music videos, with 4 in 10 watching film trailers and 1 in 4 watching news clips. A similar number are watching videos made by brands or videos posted by celebrities or vloggers, giving some context for why YouTube recently acquired FameBit to strengthen its branded content by connecting marketers with social influencers.